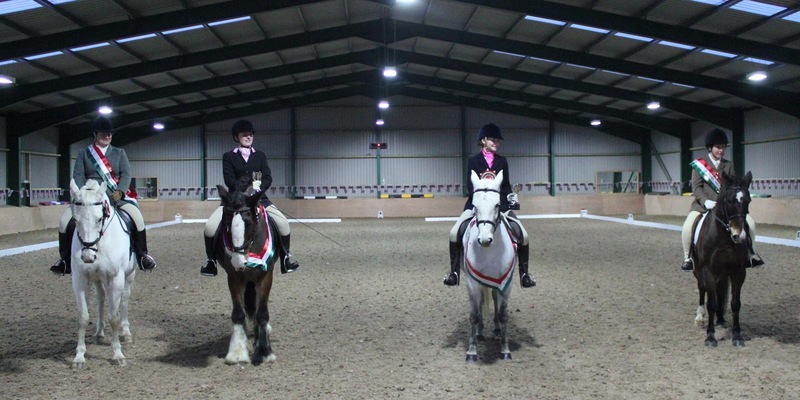 Some weeks ago Lane Farm Equestrian in Bedlington, celebrated their Shooting Stars Leading Showjumper of the Year Awards in true glorious style. However Sunday 2nd December, was the turn of Lane Farms’ Leading Dressage Riders of the Year to celebrate their dressage riding achievements. After competing at Lane Farms unaffiliated ‘Four Seasons Dressage ‘competitions (staged every month for the year), riders were awarded Four Seasons Championship league points to 6th place, in Intro, Prelim, Novice and Elementary Classes. Competitors kept track of their position in the Four Seasons leagues via Lane Farms’ website. Trophies and Championship Rosettes were awarded to interim winners of Spring, Summer, Autumn and Winter leagues. This culminated in the overall Four Seasons League Champions for 2012 in Open and Restricted categories for junior and senior riders. Lane Farms’ Four Season Dressage Championship and Awards Show, not only rewarded our Four Seasons League Champions and Dressage Riders of the Year but also Winners of Championship classes on day at Intro, Prelim, Novice and Elementary levels. Winners only, of these classes throughout the Four Seasons Year were invited to compete against each other on the day. This provided some wonderful dressage tests and healthy competition. After the classes an Awards Presentation was held, where proud family and friends gathered to witness Champions, mounted or dismounted, enjoy their special moment. A vast array of Championship Rosettes, Perpetual Cups, Trophies to keep and various prizes (and ‘cup’-cakes) were handed over to a very warm reception on a very cold day. Lane Farm’s Dressage team would like to thank everyone who supported their Four Seasons Dressage Championship for 2012. The new 2013 Four Seasons Championship league begins 6th January and the Spring series schedule is on Lane Farms website now. 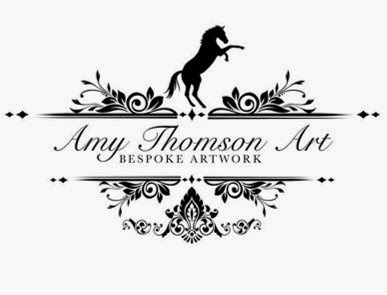 ww.lanefarmequestrian.co.uk (events page). SO THANKS AGAIN EVERYONE AND WE LOOK FORWARD TO OUR 2013 FOUR SEASONS CHAMPIONSHIP... HAPPY DRESSAGING!